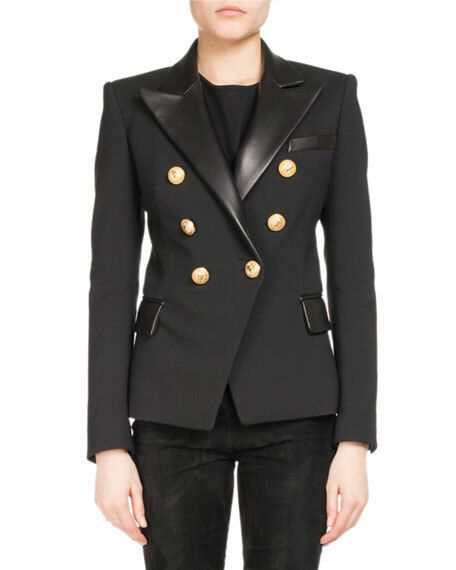 Balmain wool-blend blazer with golden buttons. 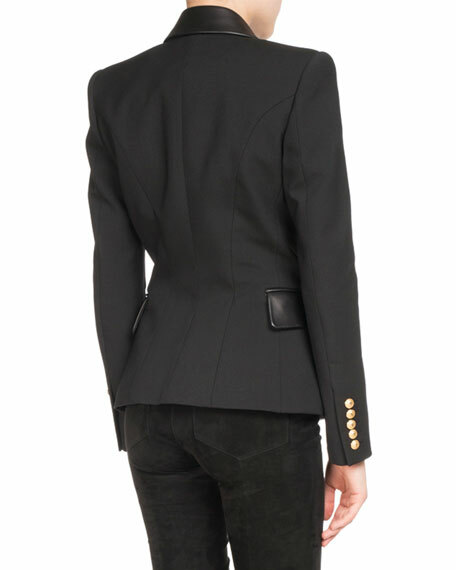 Leather peak lapel; double-breasted button front. Long sleeves with padded shoulders; button cuffs. 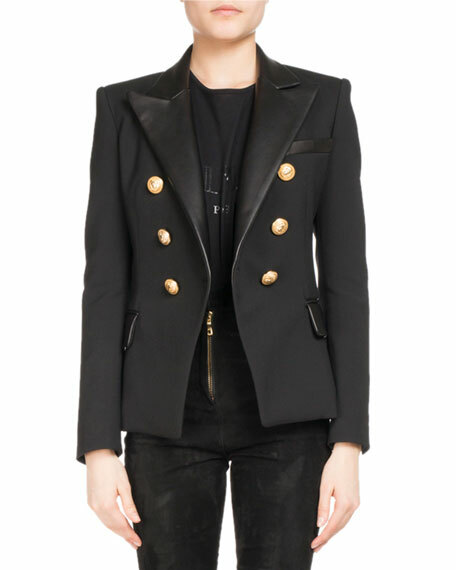 For in-store inquiries, use sku #2230035.